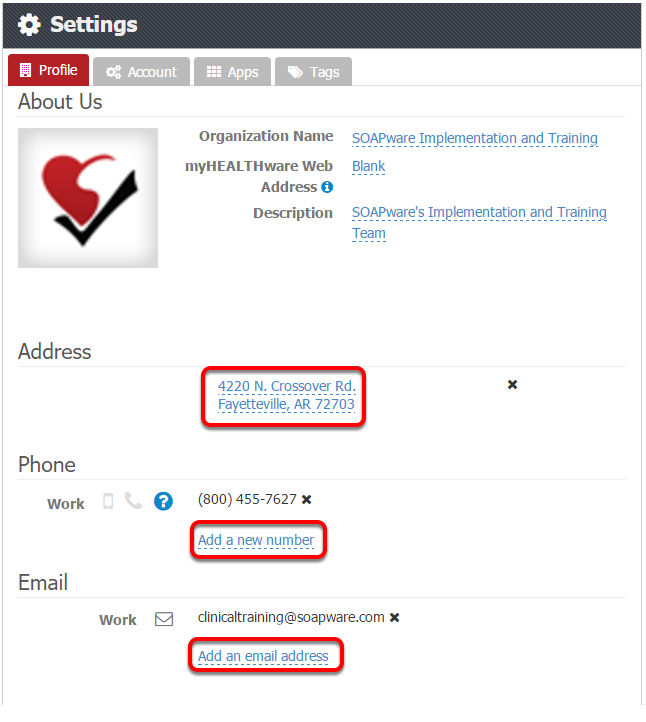 This lesson detailed the steps to modify the clinics myHEALTHware profile. 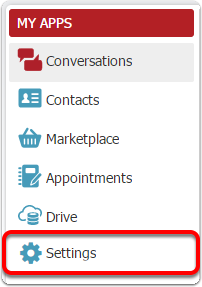 All information in the clinic profile will can be viewed by patients, people, and organizations who are connected to the clinic. Click the Settings tab in the My Apps panel. To edit the details of the organizations profile, click on the blue letters to make edits. For example, to modify the clinic description, click on the blue letters to the right of the description to edit. Click the blue checkmark button to save your changes. The clinic address, phone numbers, and email addresses can also be modified. All information presented in this screen will be viewable by patients, people, and organizations that are connected to the clinic. 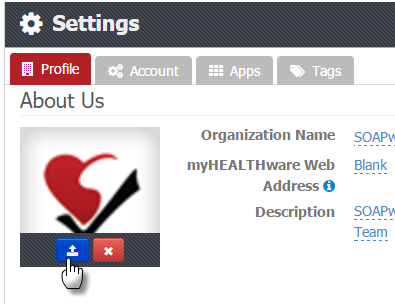 To add a profile picture or clinic logo, click the Change Picture button to access image files on your computer.